Please complete this survey to tell us how you feel about these changes! Another way to have your opinion heard, get out there and vote! In Age 79 we would like to see more action take place throughout the game by providing methods for Kingdoms to engage each other with less availability for stalling and stagnating gameplay. We hope you will see from these changes more emphasis put on moving forward with whatever your Kingdom plan may be by providing options for both Aggressor Kingdoms and Defending Kingdoms that should prove mutually beneficial. 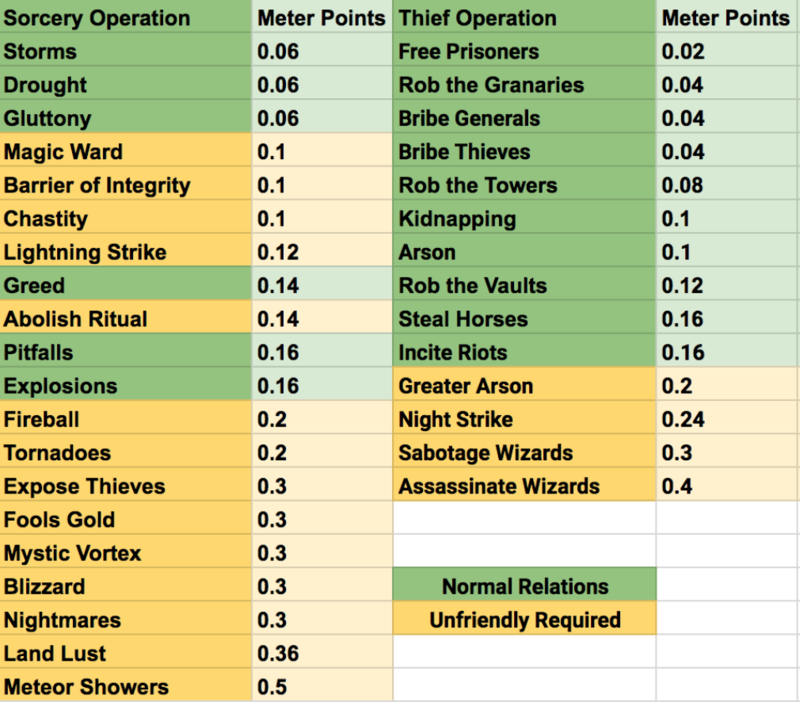 To accomplish this, mainly, we are looking to make Thief/Mage operations affect the Hostile Meter. Thru the methods we're looking to implement it should help Kingdoms to decide whether or not to engage with the other Kingdom and provide solutions to both sides. We look forward to hearing feedback to help us better tweak the changes so that Age 79 will be fun and exciting for everyone to enjoy. - The aggressor Kingdom can enter into Cease-Fire with defending Kingdom if there has been no attacks made by aggressor for at least 1224 ticks.